Capture a more pristine picture than ever before with Rexing V1 Generation 3 offer ultra HD recordings up to 2160p resolution at 24fps or 60 fps at 1080p. This newest generation 3 comes with 16GB MicroSD card and built-in Wi-Fi allows you to save recordings to your device and share footage from your trips easier than ever. Perfect for daily drives, once finished setup you can just forget and drive. Really nice and well build. Like the previous generation, the Rexing V1 Gen3 is a little on the large size. It not large enough to interfere with anything if it’s mounted in the correct location (behind the mirror is good), but if you’re looking for tiny car dash cam—this isn’t it. However, the size is good enough to allow for a 2.4 inch LCD display which big enough to actually review a video, large buttons and controls are clearly identified, and air flow to moderate heat. Rexing V1 Gen3 offer Ultra HD recording up to 2160p at 24fps but also enable to record at higher 60fps framerate at lower 1080p resolution. The daytime video is excellent, 2160p video quality is really sharp and extremely stable. 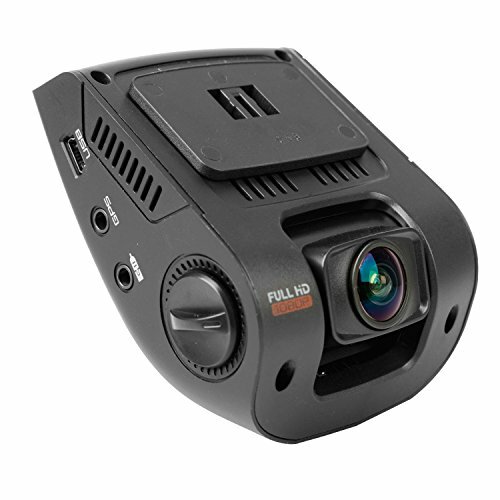 It has 170-degree ultra-wide angle lens which covers wide range allow you to see more of your surroundings with complete panoramic viewing. The night video was good, especially in low-light conditions. There were minor artifacts that we noticed when ambient light conditions shifted but it wasn’t a significant issue. There’s built-in Wi-Fi in the Gen3 make it easy to connecting to your smartphone or tablet to save and share footage. Rexing V1 Gen3 also includes with 16GB MicroSD Memory Card make it ready for the go. It supported memory sizes from 16GB, 32GB, 64GB, and 128GB. This camera required high-endurance micro SD memory card, NOT WORK with SanDisk Ultra cards. You should buying cards like SanDisk High Endurance Video Monitoring Card when you need more capacity. 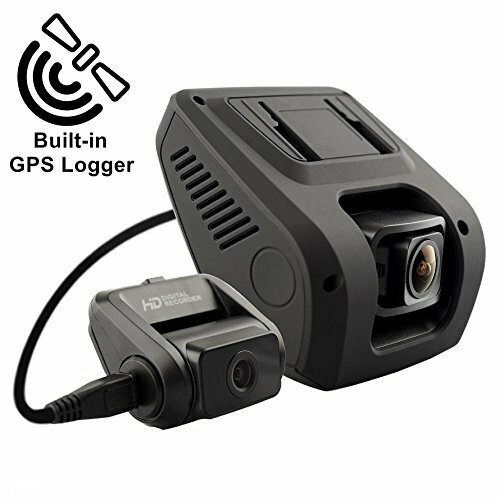 The camera is easily mounted to your windshield using the included adhesive mount, where it will then record everything without you ever having to press a button. You can be watching the installation videos on their website (or on below) for better understanding. The user manual is well clear and given all step by step usage of the dash cam and all features available. Rexing V1 Gen3 is a solid product that takes ultra-clear video for not a lot of cash, great deal overall. ULTRA-HD RECORDING: Capture video up to a resolution of 2880×2160 (2160p) @ 24fps. WIDE DYNAMIC RANGE allows the camera to perform optimally in any lighting situation by adjusting the exposure to create a balanced image. LOOP RECORDING: Video can be recorded in 1, 2, or 3 minute intervals. When the storage limit is reached on the memory card, new recordings will automatically overwrite oldest recordings. Supports high-endurance micro SD memory cards up to 128GB in memory size. 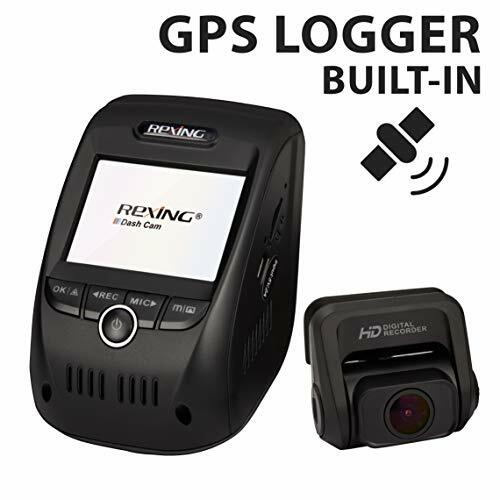 Rexing V1 Gen3 is a solid product that takes ultra-clear HD 2160p video, built-in Wi-Fi allows to save and share footage from your trips easier than ever. SECURE RECORDING: Recordings are split into segments. When the storage limit is reached on the memory card, new recordings will automatically overwrite oldest recordings. When the G-sensor detects a collision, the current video is locked, ensuring important footage is kept protected. Supports class 10 or higher micro SD cards up to 128GB in size (not included).